Winters Property has announced that following its recent successes at the Irish Facility Management Awards the company has now been shortlisted for the Regional Excellence Award at the KPMG Irish Independent Property Industry Excellence Awards 2018 for its outstanding property services. Now in their fourth year, these awards highlight, reward, and celebrate excellence in the Irish property industry. The awards are a beacon for excellence in the Irish property sector. Award winners set the benchmark for professionalism and showcase the best that industry stakeholders have to offer. 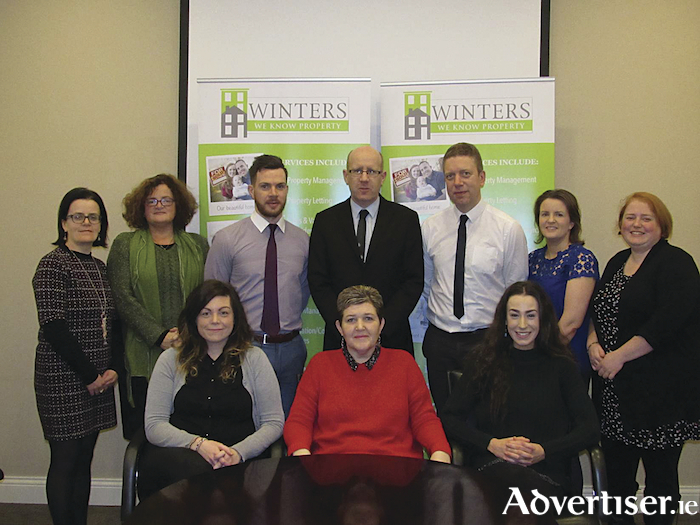 Enda McGuane, MD of Winters Property, said: “While we are providing a lot of development consultancy services as well as sales and valuations, it’s great to see that once again our team have been recognised on a national stage for their industry leading property management, letting, and excellent customer service. The property sector has rightly become highly regulated in recent years, and WPM have been to the forefront of this process. We can see on a daily basis the impact that the current shortage of residential properties is having both on our economy and on society. The awards will be announced at the gala awards ceremony on Thursday November 8 in the Convention Centre Dublin.